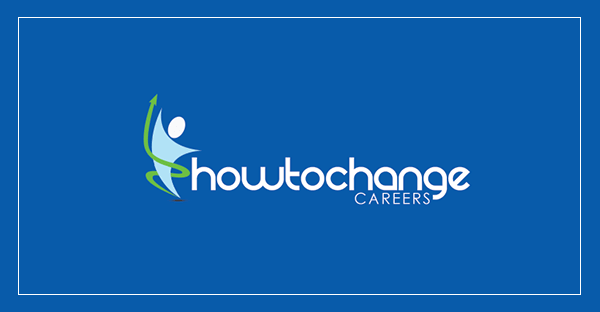 If you have been browsing around this site exploring how to change careers, you will know that I suggest taking your time. So one of my main resume writing tips is to make sure that you don’t rush it. Yes, you can probably put one together quite quickly if you need to, but it is unlikely to impress a recruiter. If you want to know how to write a good cv, you need to make sure you have done your preparation and research before you put finger to keyboard. Let's get this clear from the outset. I know that CV – Curriculum Vitae – stands for 'the story of your life', but that is not what future employers want to read! Your cv or resume is your opportunity to show your future employer what you have to offer and demonstrate how you can meet their needs. Yes, you are the 'product' and they are the buyer. That might make you feel a bit uncomfortable, but the clearer you are about this, the easier it will be for you to get your cv right. Are you clear what you have to offer? What are your skills, what experience do you have, what are the achievements you are proud of that will impress the employer? If you are not sure, go back to the Who Am I section of this website and go over some of the exercises there to help you pin down skills and achievements. But to write a good resume, you need to know what the buyer is looking for too. Are you clear about what the recruiter wants? Do you know how they would define their ideal applicant? If not, you need to go over the job advert, the job description and the person specification as closely as you can. All these will give you clues. Your job is then to match what you are offering as closely as you can to their needs and wants. Do this with the style, the content and the language of your cv. Most recruiters do not spend more than 30 seconds looking at the CVs they receive - so you have less than half a minute to ensure that your CV goes on the top of the stack. If you want a CV that has exactly the kind of impact it should, be sure to check out The CV & Resume Workbook. What about the outline of a resume? What is the right way to assemble all this information? I suggest that the 'right' way to do a cv or resume is the way that promotes you most effectively. So what works for one person may not be right for another. Do not get trapped into thinking your cv or resume must follow a set format. – your name, address, phone and email. – the purpose of your cv ie the job or career area you are aiming for. – details of the educational qualifications you have. – summary of your employment history. – what you do when you are not at work. – the details of two people who will provide confidential references. You can use other headings too (eg achievements, voluntary work, technical skills) if they will add focus and impact to your cv or resume. You decide if they are useful. Use them if they are, omit them if they are not. To find out more about what should be included in each of the main headings in your cv or resume outline, click here. Make sure you use the right one for you to maximise the chance of your resume being noticed. To read more about the different cv styles, click here. If you are to write a good cv or resume, it is important that you also think about how it looks. You will be gaining plus or minus points in the mind of the recruiter as soon as the cv comes out of the envelope. So spending time on your cv layout will bring real benefits when it hits the desk of your future employer. What is important when planning your layout? Make sure it looks professional and business-like – so no typos and spelling mistakes! Use an attractive, modern font like Arial or Verdana. Avoid using fancy fonts that are difficult to read. Divide it into sections with clear headings so it is easy for the reader to find their way around quickly. Do not fill the cv with densely packed text. It makes the whole thing look cluttered and uninviting to read. Wherever possible, use bullet points like these to make your key points stand out clearly. Do your homework. Be clear what you have to offer and what the recruiter is looking for. Then plan your resume carefully so it looks professional and promotes you effectively, matching your skills with their needs. improve the impact your cv has when you send it out to employers.